They may not have achieved greater popularity in the States during their career, but Roxy Music were certainly one the most unique bands to come out the ‘70s. Like David Bowie, the band, led by the dapper Bryan Ferry, was ahead of its time as far as the music and visual look that was both a nod to the past and what the future might be. Over the course of 10 years and eight albums, Roxy’s output progressed from its avant garde/art rock beginnings, to smooth romantic pop. It’s now collected in this new boxed set celebrating the 40th anniversary of the band’s self-titled debut, showing why Roxy still continues to influence generations of rockers. In the early days of Roxy, the band’s focal points were Ferry and keyboardist Brian Eno, who definitely left an indelible mark with his soundscapes, especially on the first two records, Roxy Music and For Your Pleasure. The music from those albums was a collision of retro rock and futuristic electronic music as evident on such classic tracks as “Re-Make, Re-Model,” “If There Is Something,” “Editions of You” and “Do The Strand.” When Eno left after For Your Pleasure, Roxy became Ferry’s vehicle as he furthered his unrequited romantic/crooner persona on Stranded (“Mother of Pearl” from that record is a gem) and Country Life—augmented by the fiery guitar work of Phil Manzanera, the soul-inspired sax of Andy McKay, and the skillful, hard rock drumming of Paul Thompson. 1975’s excellent record, Siren, contained the band’s most popular hit at that time, the funky-disco driven “Love is the Drug.” After that, the band went into a four-year hiatus. When Roxy Music reemerged in 1979, the band was faced with new musical trends punk, disco and later New Wave—those styles were reflected on Manifesto with “Trash,” “Dance Away and “Angel Eyes.” It would mark the shift from the edgy rock of the early albums towards more beautifully-crafted pop, first on Flesh + Blood (key tracks from that record are the dazzling “Same Old Scene” and “Oh Yeah”) and culminating in the brilliant and lush Avalon. If there was a record to end a recording career on, Avalon, with its notable singles “More Than This” and the title song, was absolutely perfect. 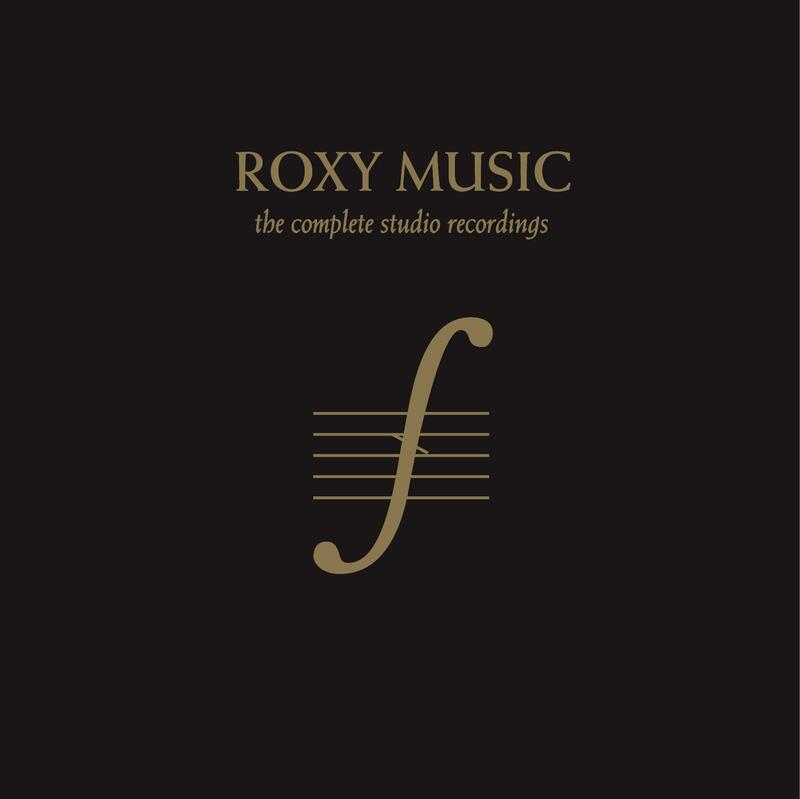 The Complete Studio Recordings is a godsend to American fans of Roxy Music because it not only contains all eight records but also two discs’ worth of singles-only tracks (“Virginia Plain,” “Pyjamarama,” the Lennon tribute “Jealous Guy”), B-sides and rarities that one would have probably had to find as imports or through eBay — among those tracks are “Always Unknowing,” “Your Application’s Failed,” and “Sultanesque.” This boxed set is a testament to Roxy Music’s continued importance and influence 40 years later.